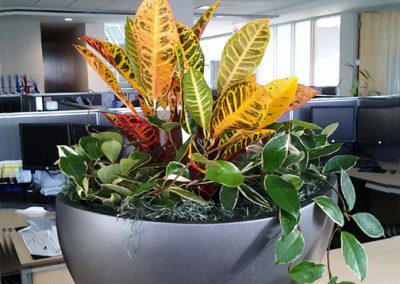 There is no quicker way to transform your environment and make a positive impact on employees and visitors alike than with indoor office plants and flowers. 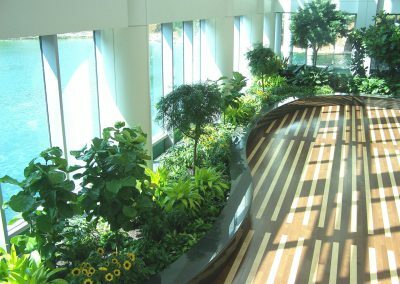 Our exquisite designs and luscious flowers and greenery set the tone for your space, meet your objectives, and accommodate your budget. 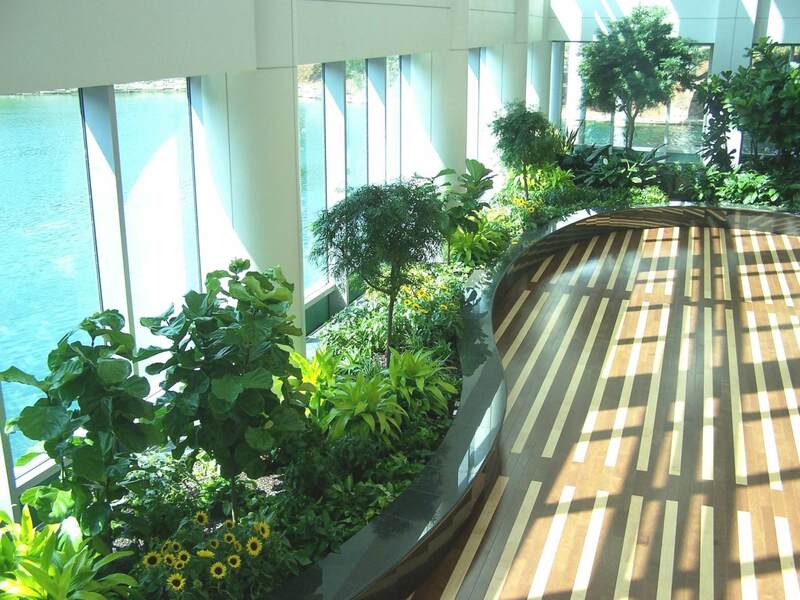 Beautifully. 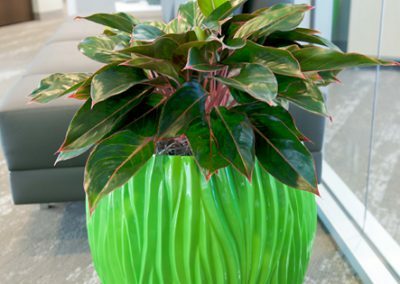 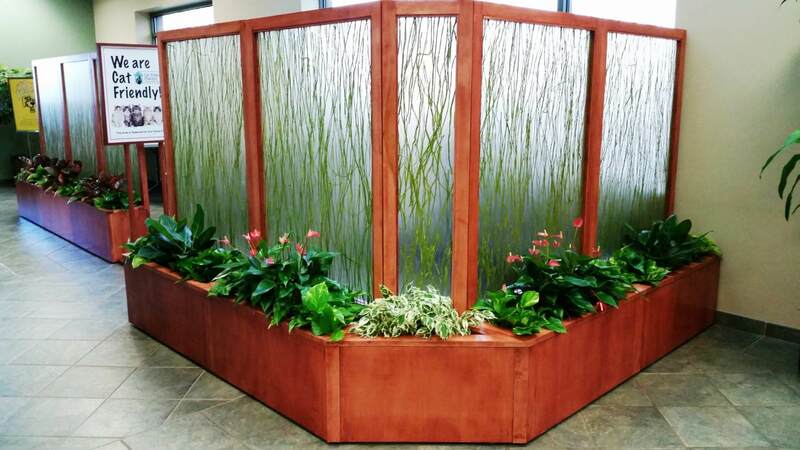 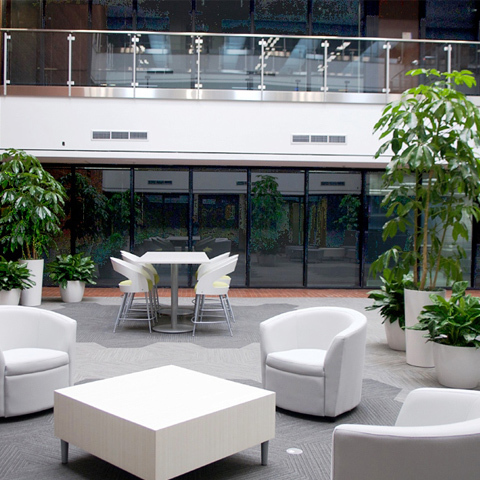 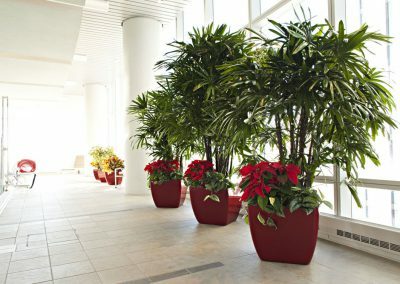 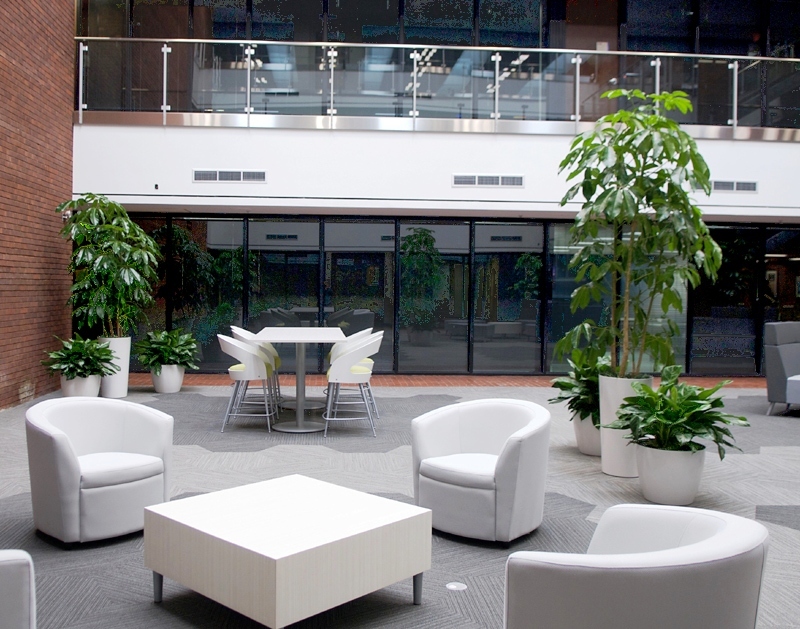 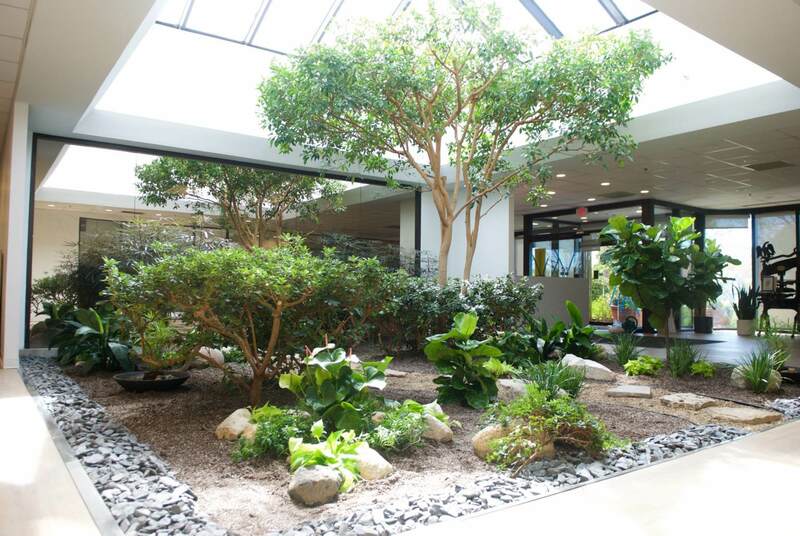 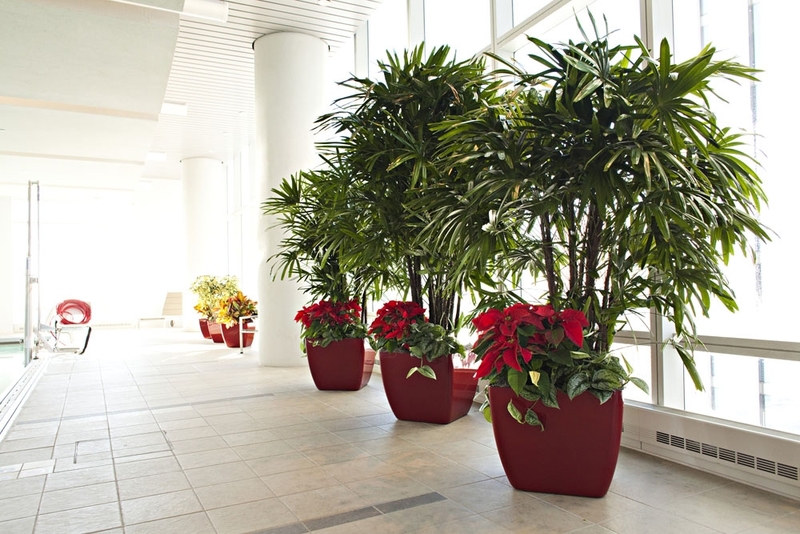 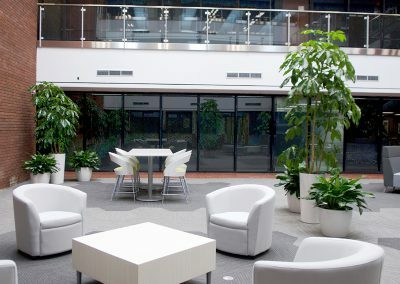 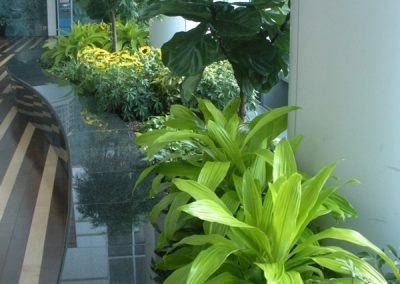 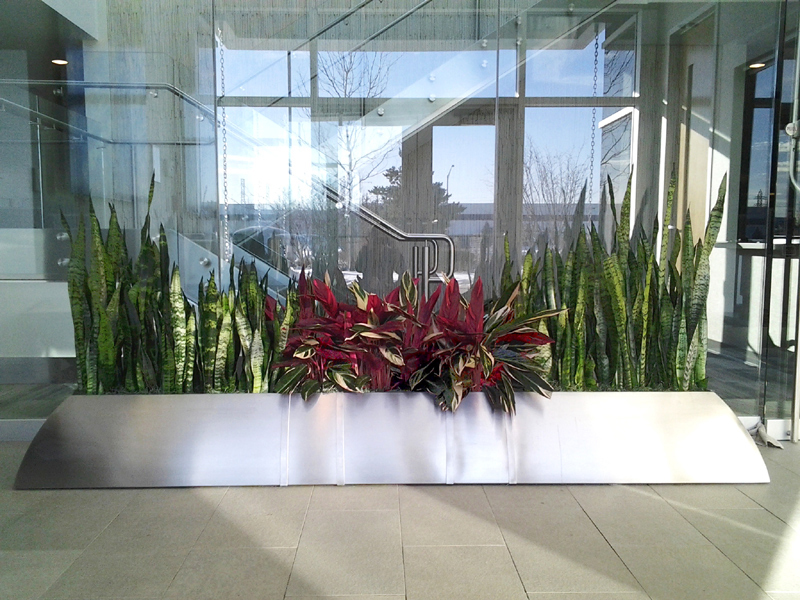 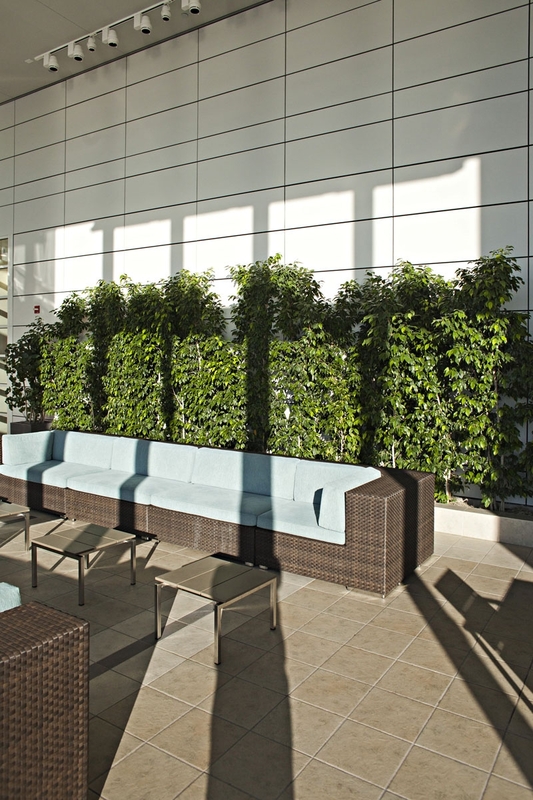 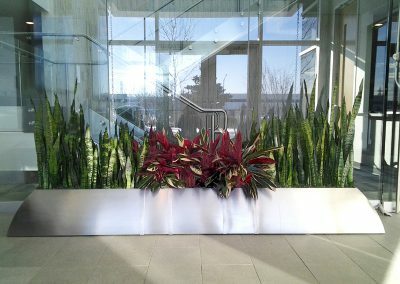 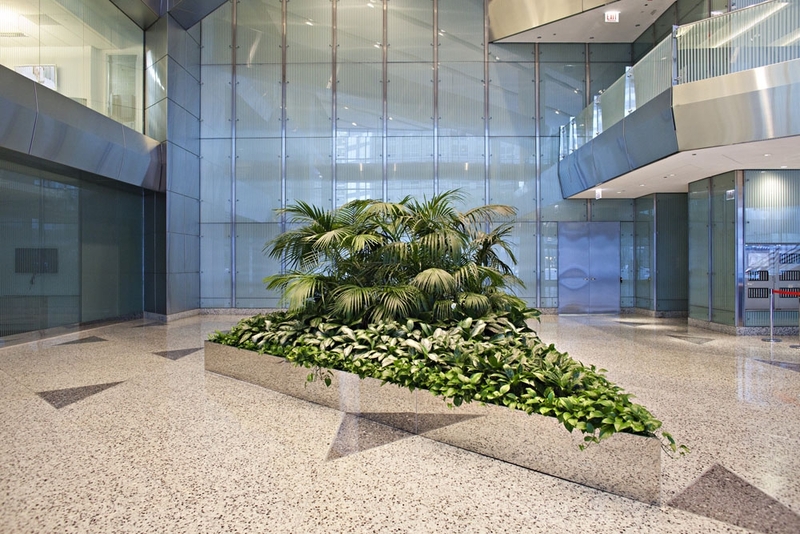 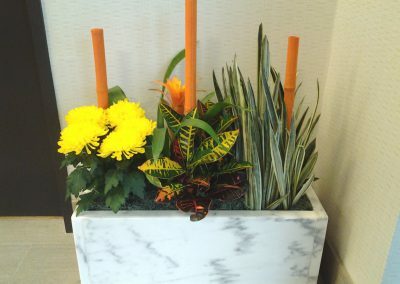 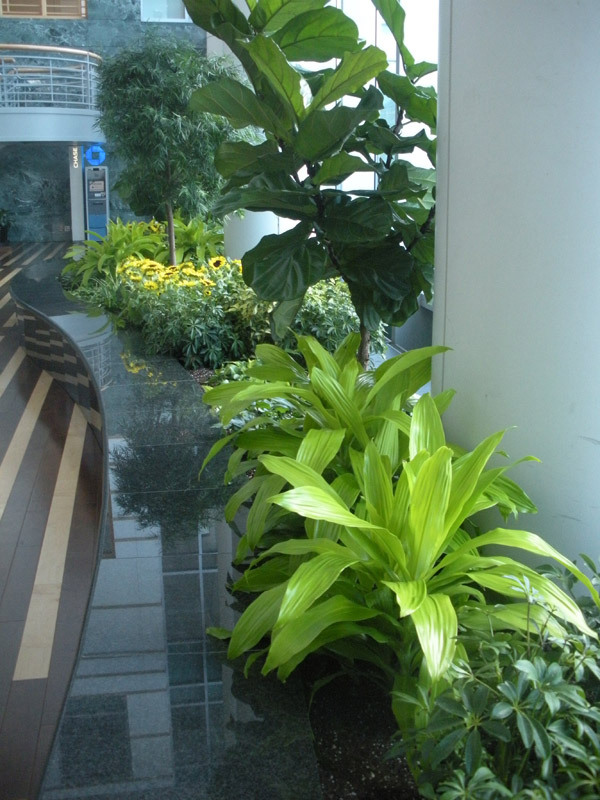 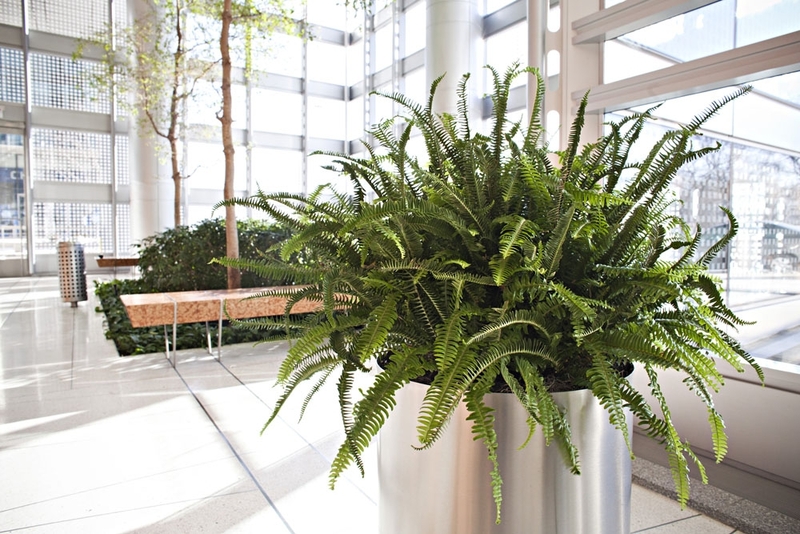 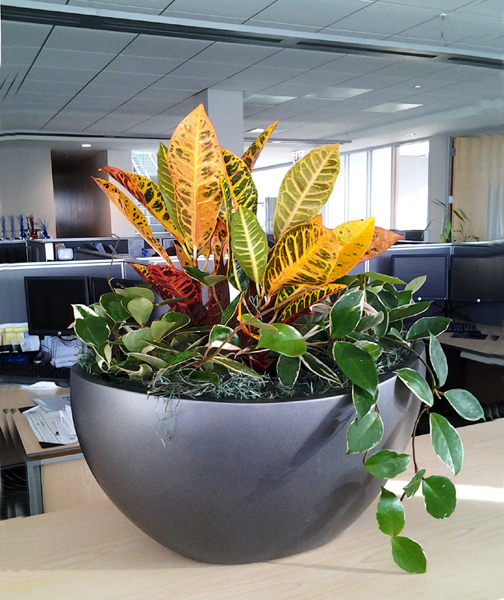 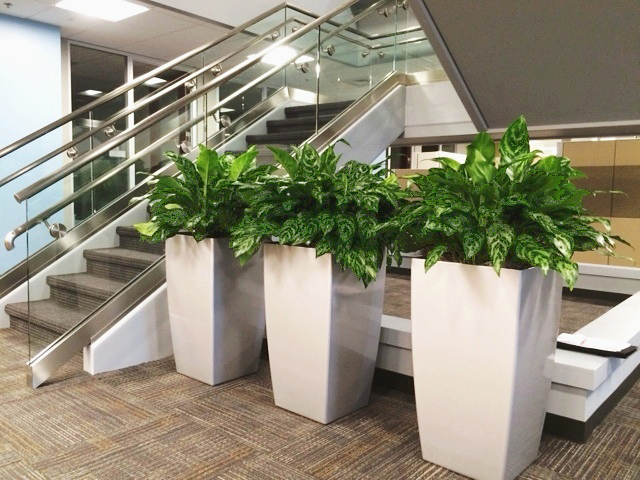 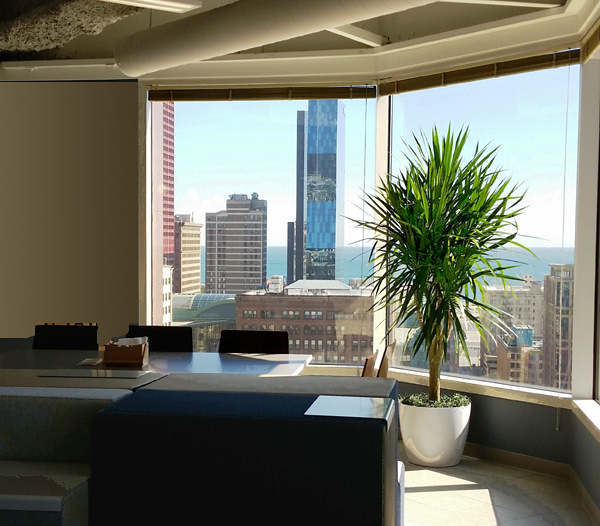 Our office plant services and interior plant rentals provide a variety of choices. 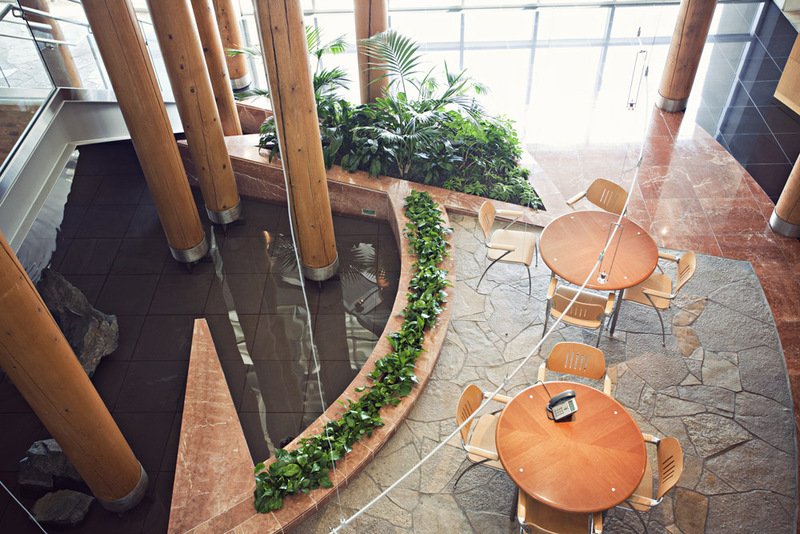 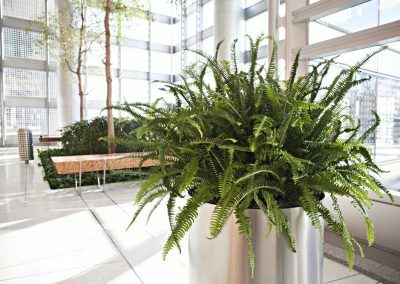 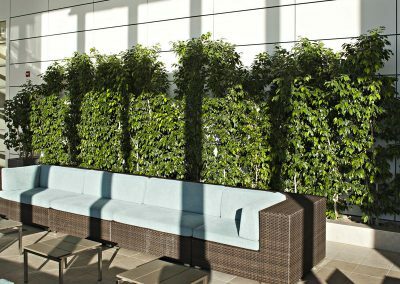 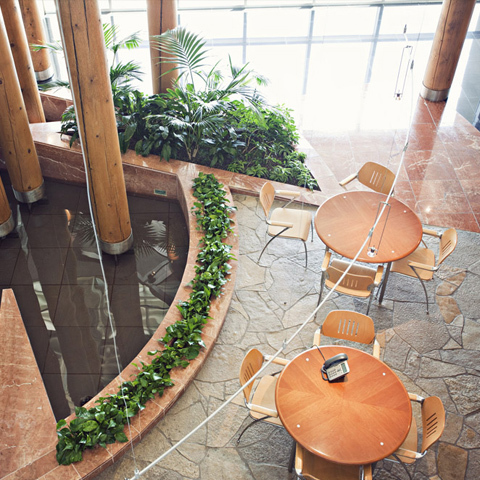 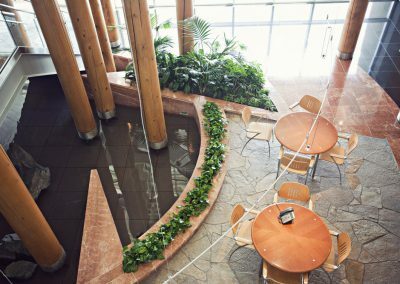 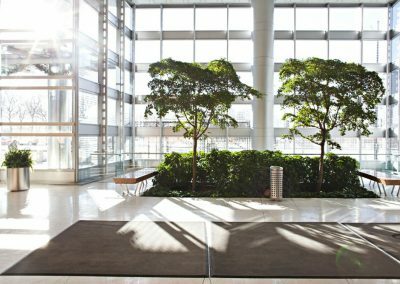 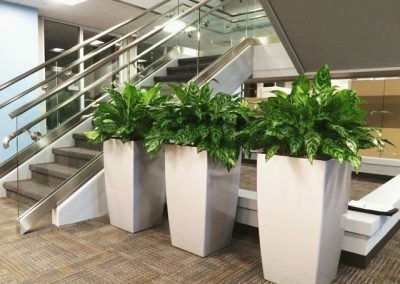 From silk plants to blooming plants, green walls to containers, and proactive, natural gnat control, too, we provide a complete range of professional services for all your office plants and interior landscaping needs. 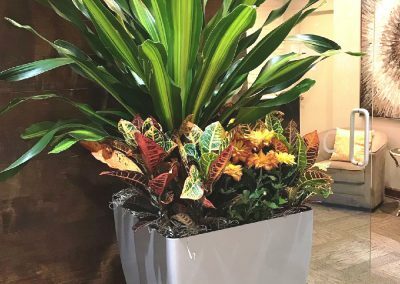 Our exceptional plant displays can be rented, purchased with guaranteed service, or purchased outright – according to your preference. 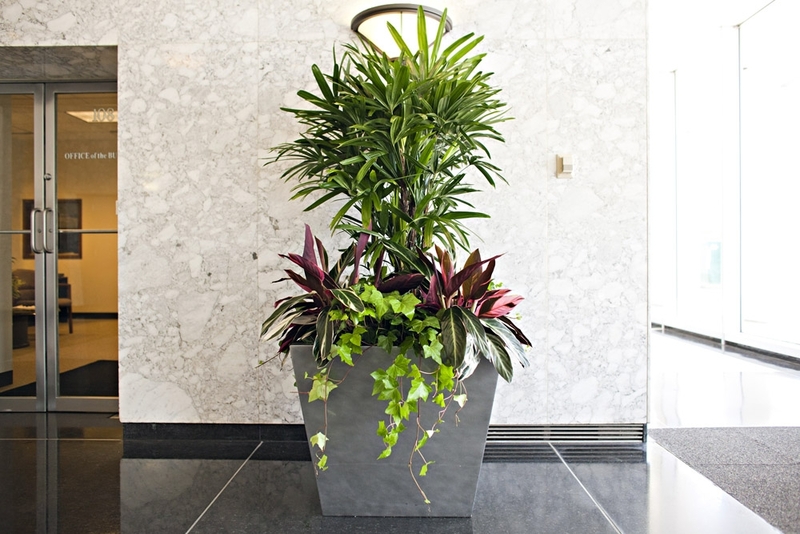 Our design consultant will help you choose lush, beautiful plants that will thrive in your spaces. 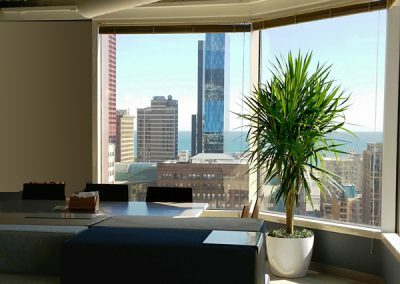 We can work with your architect or we can provide the design. 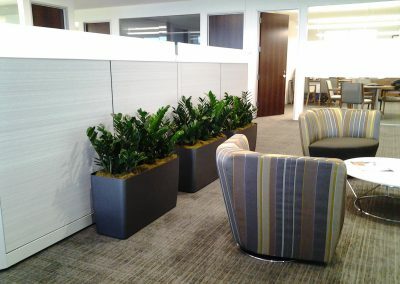 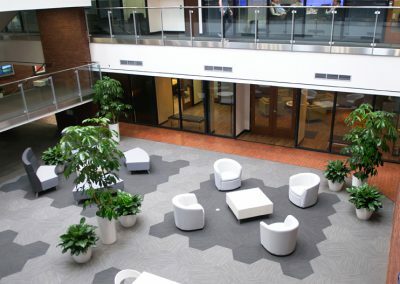 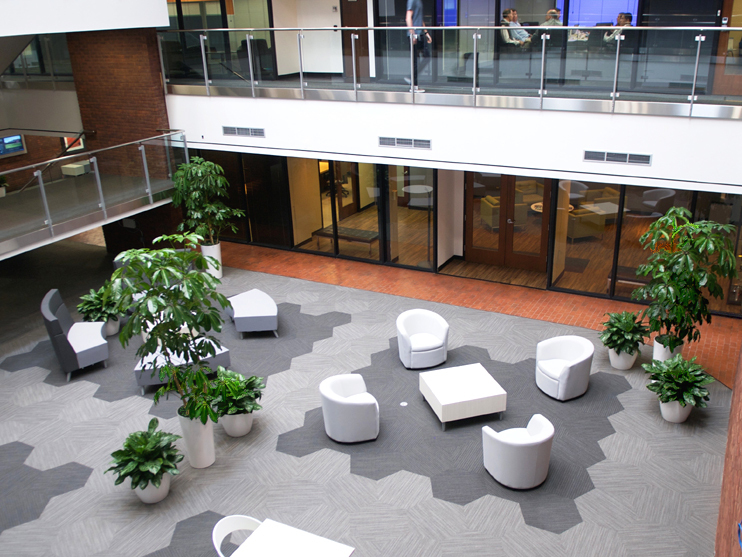 Count on us to bring you creative new ideas that will keep your work environment looking terrific. 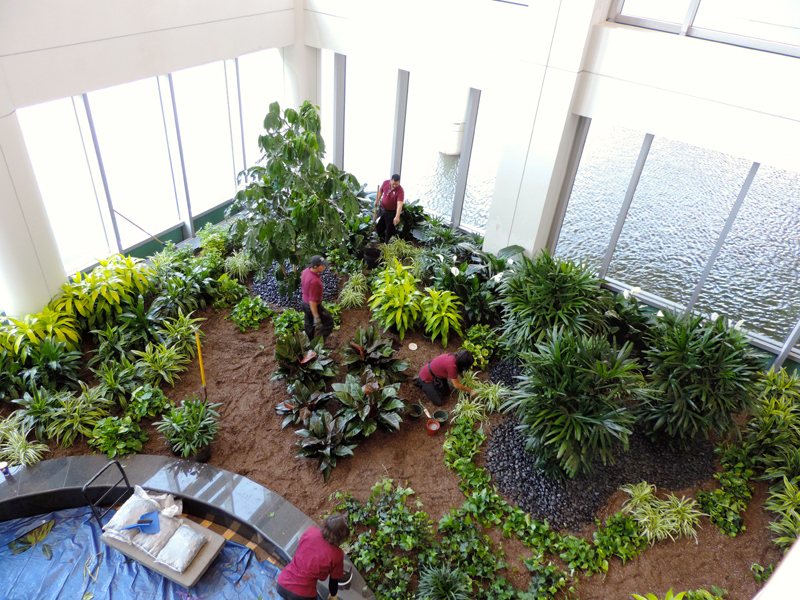 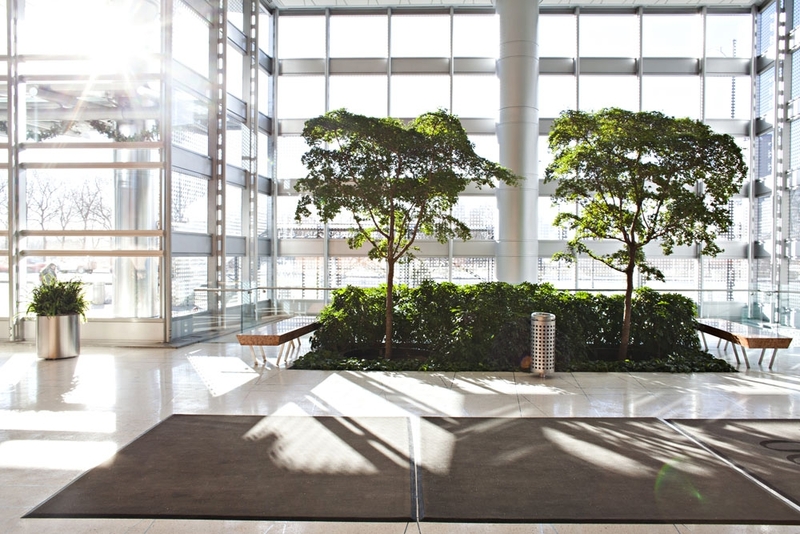 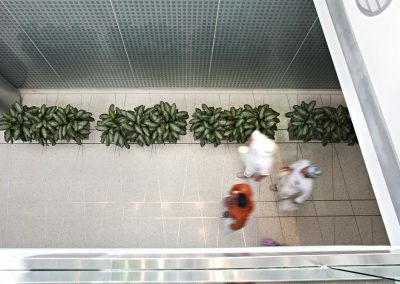 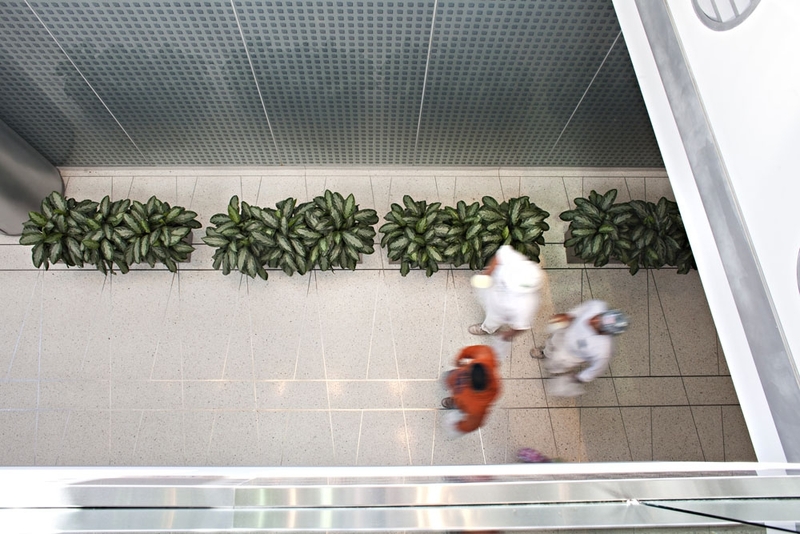 Our employees have over 100 years of collective horticultural experience, so you can rely on us to coordinate your entire installation without disturbing your workplace or disrupting your day. 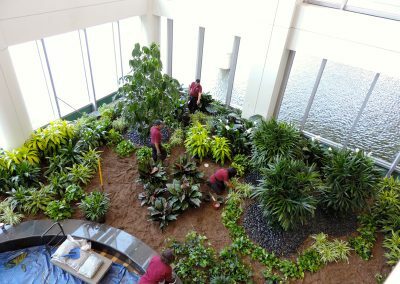 You’ll get to know our plant specialists via our regular service visits. 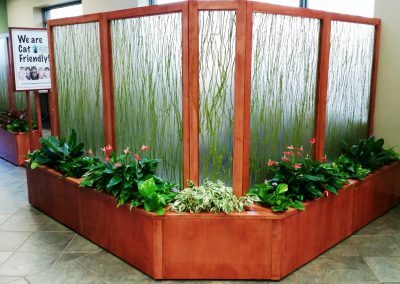 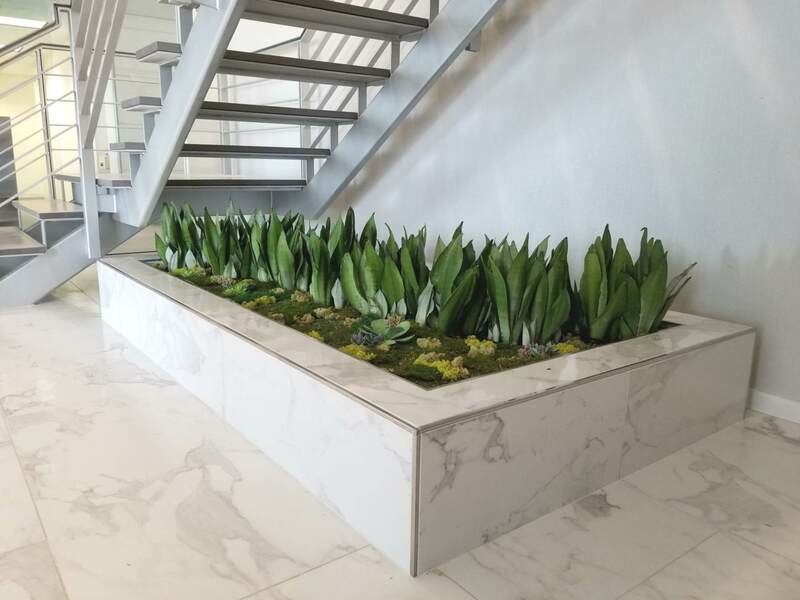 We maintain high-quality standards, and we will make sure your displays or interior landscaping stay watered, fertilized, cleaned, and pruned as needed, so they remain as fresh and vigorous as the day they were installed. 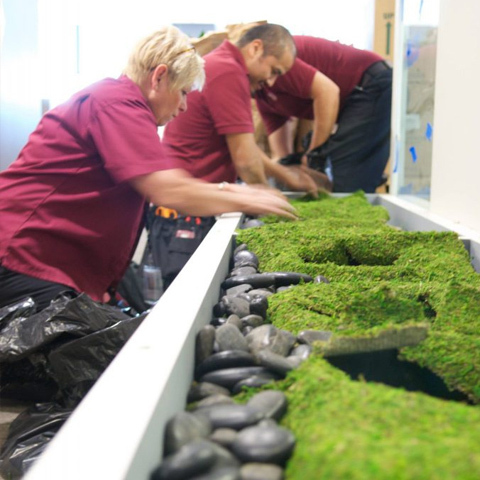 Trust our team to take very good care of you. 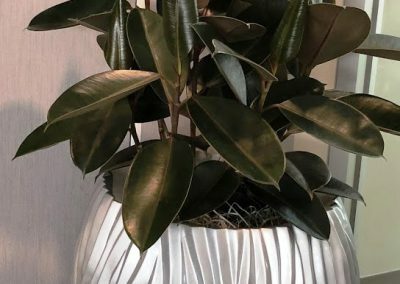 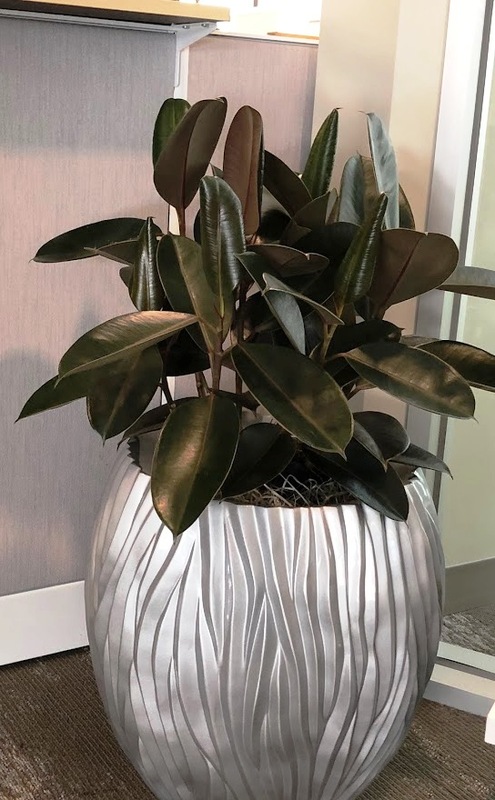 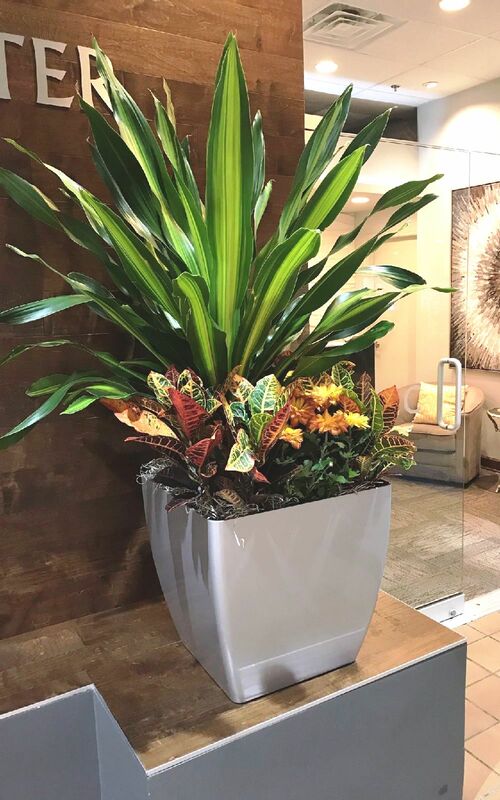 We’ve been providing the very best in indoor office plant services and plant rentals for over 40 years, and we can’t wait to put our creative designs and outstanding service to work for you, too. 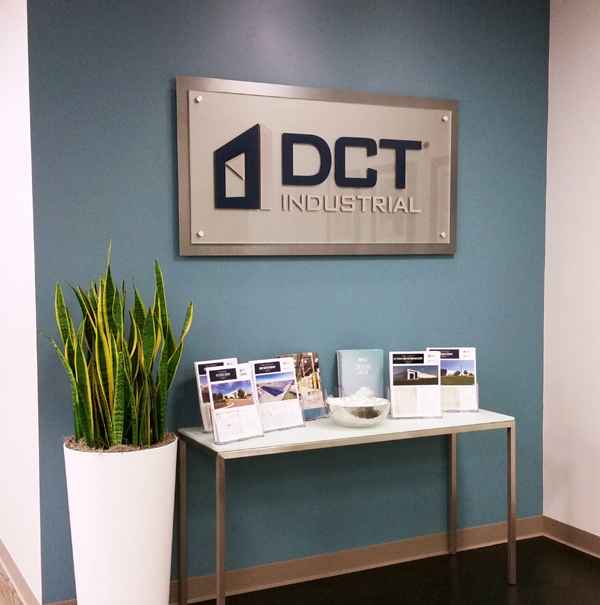 Click here to learn about the outstanding customer service promise we make to every client. 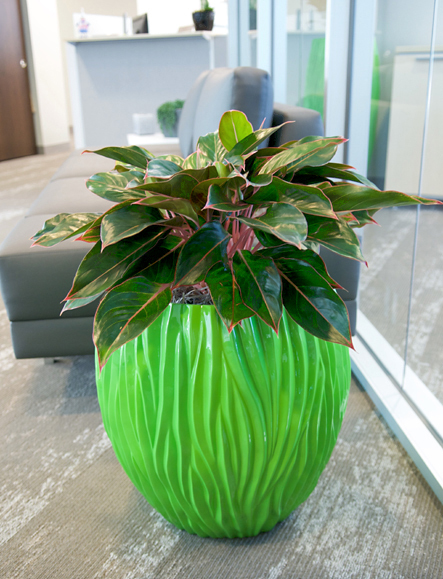 And, be sure to see our full Plant Brochure, too. 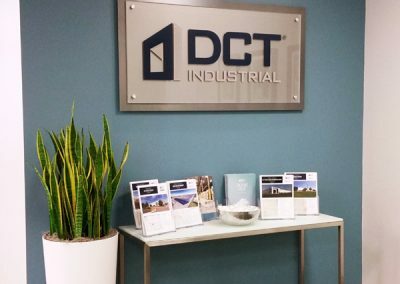 Send us an email using the form below or give us a call at 630-954-3600.